Hi guys! I know this is a Beauty blog, but who doesn’t like to win free stuff? My friend is having a giveaway once her page reaches 5,000 likes, and you could win! All you have to do is like the page and submit your name and email address, incase you are selected as the winner. Hopefully, one of you guys wins! Good luck! 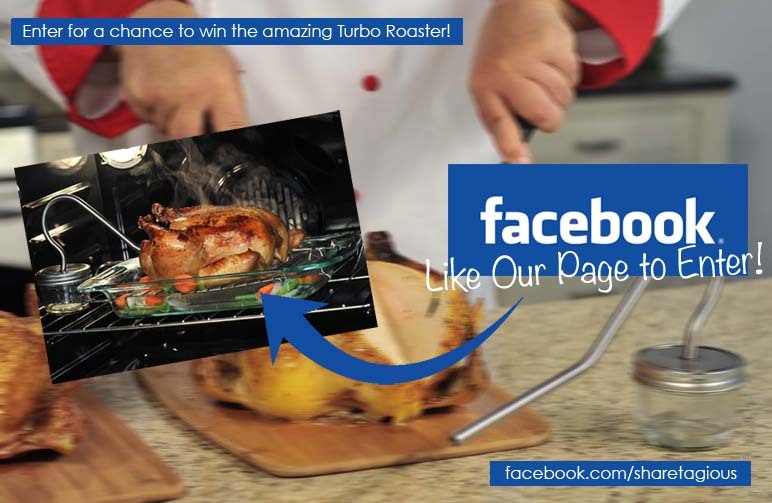 This entry was tagged facebook contest, free stuff, holiday giveaway, turbo roaster, win free products.